Be careful what you wish for… and ITS A BOY!!!! So the phrase, be careful what you wish for has received new significance for me since last night. Last night when we got the call for transfers, I was ready to hear that we were both going to stay in Izamal, or that Elder Cornejo was going to leave, that I was going to train, I had no expectations. I have said that I felt ready to train, not that Im aspiring for leadership positions but I just feel ready as a missinoary! Well anyways last night I found out that I am going back to Campeche! But this time, I am going to open an area in Escarcega, which is the farthest area from Merida, I am going to be training a new missionary (who I will meet tomorrow!) and I am going to be a district leader… WHAT HAPPENED!!!!!! Chispas that was a slap to the face for me! I am sitting here in Merida right now waiting until I give birth to my son (mission lingo, sorry if that sounds weird), and then I am off to Escarcega tomorrow! Escarcega is famous for being the armpit of the mission, because it is super far from Campeche, and even farther from Merida, and there hasnt been very much success there in the last couple of years. The branch (yes my first time in a small branch) and area is called Morelos. I am still surprised as I am writing this to you all haha. I am sad to be leaving Izamal. I feel like I didnt do enough there. I dont like that I have had so many areas in just 5 months. I feel ready to be a leader and train and what not, even though it was a surprise because I only have 5 months, but I am still sad to leave Izamal. I was only there 6 weeks but feel like I am Izamaleño! I already made promises that I am going to go back there to visit eventually. But for now, its bye-bye to Yucatan and welcome back to Campeche! My district is going to be myself and my kid, Elder Ortiz (from my generation) and his kid, and Elder Mcrae (one transfer more than me) and his kid. 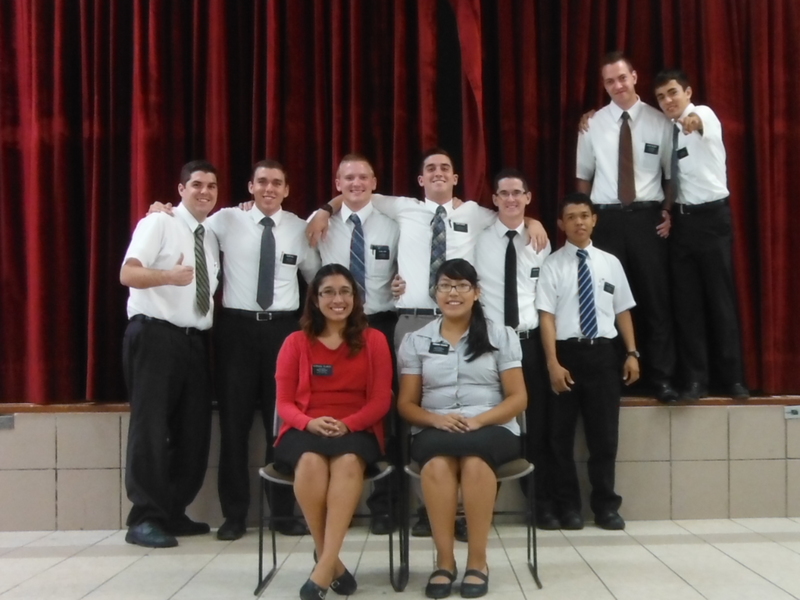 All three of us are training and Elder Mcrae has the most time at like 7 months haha. I already named our District Juventud de Israel after the hymn haha. It is going to be awesome! This week was pretty uneventful and I am having trouble remembering what happened after yesterday and today, so sorry I don’t have much to say about it! Everything is well! I am alive and safe! I dont have very much time but I love you all! Keep me in your prayers! Im gonna need them! The next time I write I will send pictures with my kid and new area! Whoo! haha Love you all! Have a good week! 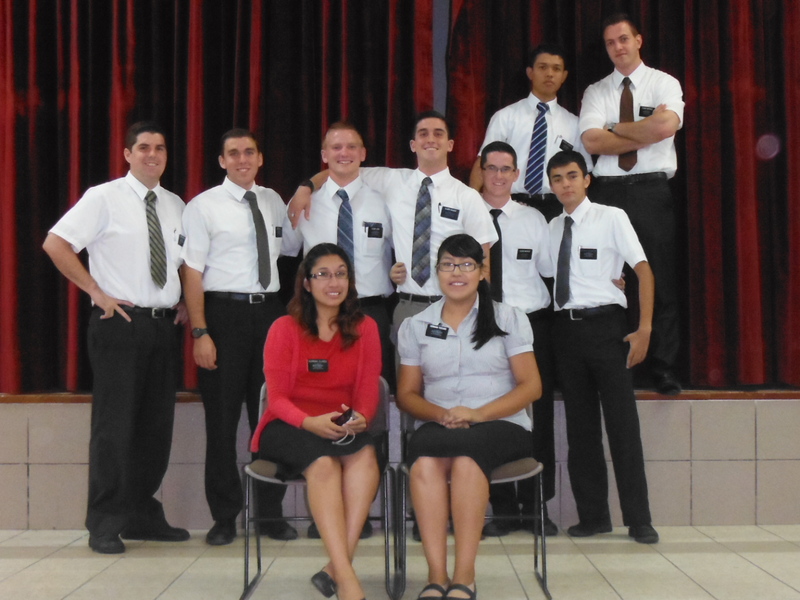 This entry was posted in Escarcega, Izamal, Pictures on January 6, 2014 by Courtney and Nickolai.